At EPFL, the Center for Research in Plasma Physics (CRPP) has become the Swiss Plasma Center (SPC), and for good reason: the Center is upgrading its facilities and expanding its scope of activities. 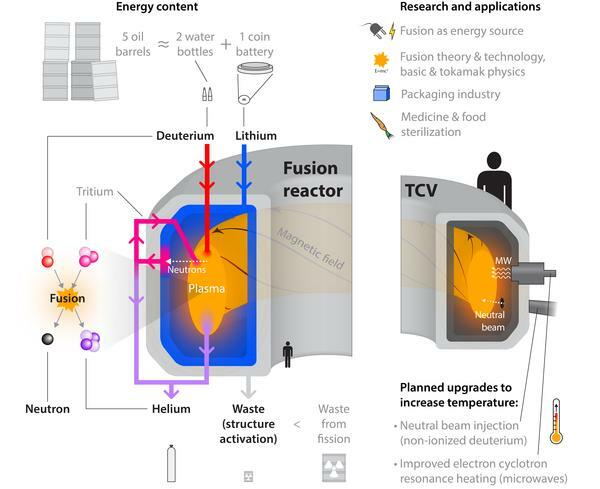 These improvements strengthen the role the Lausanne-based tokamak will play as one of three research facilities selected by the EUROfusion consortium to develop nuclear fusion as part of the international project known as ITER. Once mastered, nuclear fusion will be able to produce enough energy – clean, reliable energy – to meet the needs of mankind for centuries to come. Unlike fission, fusion does not create radioactive waste with a long lifespan, and it is based on abundant materials that are easier to extract than uranium. Numerous international research projects are under way, and one of the most crucial challenges they face is plasma confinement. This refers to confining a gas that is heated to more than a hundred million degrees – considerably hotter than the core of the sun – so that the component hydrogen atoms will fuse and release huge amounts of energy. But these extreme temperatures must not damage the reactor, which means the plasma must be kept away from the walls. This is done using a magnetic field that is contained inside a ring-shaped chamber called a tokamak. 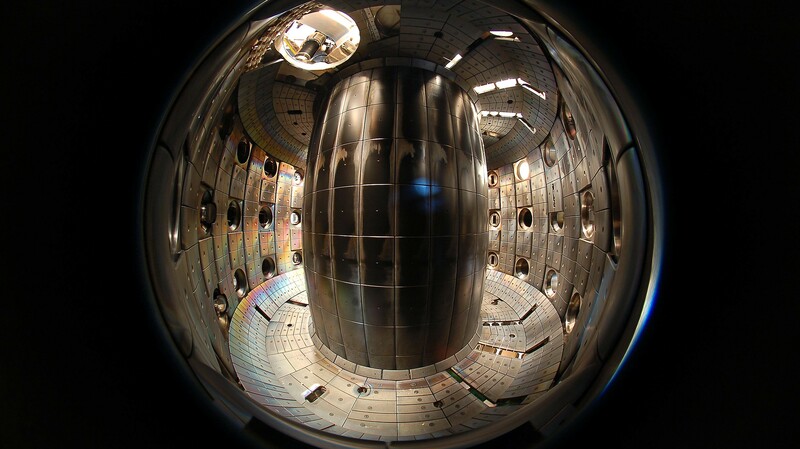 The Variable Configuration Tokamak, which was built in 1992 at the Swiss Federal Institute of Technology in Lausanne (EPFL, Switzerland), has always been on the leading edge among research facilities in this field. The TCV tokamak, as it is known, is operated by the Center for Research in Plasma Physics (CRPP) and is unique because – as its name indicates – it can produce plasma in various shapes. This feature allows scientists to determine the most appropriate configuration for use in an energy-producing reactor. And it was thanks to this feature that in late 2013 the TCV tokamak was selected by the EUROfusion consortium as one of three national facilities on the European continent to be used to help design the international power plant ITER, currently being built in the south of France, and develop its successor, DEMO, a prototype commercial reactor. The Lausanne-based lab recently received 10 million francs from the Swiss government to upgrade certain aspects of its facility. Thanks to these funds, the Center will soon be equipped to carry out new experiments on the TCV tokamak, particularly in relation to extracting energy and particles from the plasma. New mechanisms for heating the plasma with microwaves and with the injection of neutral particles may also be installed. At the same time, the Center is expanding its sector for lower density and lower temperature plasmas in order to explore new applications for plasma, such as in the medical field, the food industry and astrophysics. These improvements will encourage many Swiss and European researchers to visit Lausanne and conduct new experiments. Alongside these developments, the Lausanne-based lab is changing its name. It is now the Swiss Plasma Center that will impress its credentials on Switzerland, Europe and the rest of the world as a leading institution in this field. The renamed Center was officially inaugurated today in Lausanne. Attendees included Bernard Bigot, Director-General of ITER, along with officials from the EUROfusion consortium, who emphasized the importance of the research being carried out in Switzerland in support of the objective of the reactor being built in Cadarache. The reactor, using nuclear fusion, aims to generate ten times more power than was injected into it.